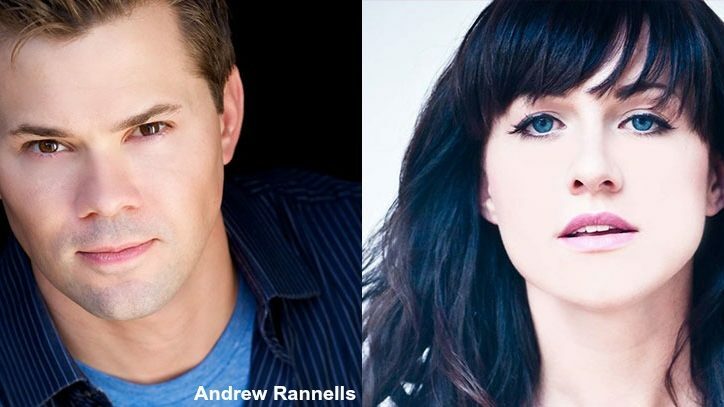 On August 20, Andrew Rannells will take over the lead in Hedwig and the Angry Inch. The heroine of Stephen Trask and John Cameron Mitchell’s rock musical is about to get a new lease on life on Broadway, and anticipation is running high. Hedwig is indeed a remarkable survivor. The self-declared “internationally ignored song stylist” — an aspiring singer from East Berlin first introduced to us in 1998 — has proven to be an enduring icon for the 21st century. Earlier this year the marvelously complicated, would-be superstar was brought vividly to life by Neil Patrick Harris in the new Broadway revival at the Belasco Theatre. Harris won the 2014 Tony Award for Best Actor in a Musical and the production, directed by Michael Mayer, received the award for Best Revival of a Musical, becoming one of the season’s most critically acclaimed and commercial successes. Rannells last appeared on Broadway a little more than two years ago. Since his Tony-nominated star turn as the ever-cheerful missionary in The Book of Mormon, the fresh-faced actor-singer-dancer with the winning smile has been building a considerable fan base on television. He played one half of a couple who had a baby with a surrogate mother in the NBC sitcom The New Normal; and after a series of well-received guest appearances in the first three seasons of Lena Dunham’s popular HBO series, Girls — playing the gay ex-boyfriend of the lead character, Hannah (Dunham) — he was invited to become a regular on the series.